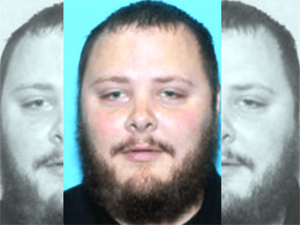 Updated: During service Sunday unarmed Christians were massacred near San Antonio, Texas by Atheist Devin Patrick Kelley. 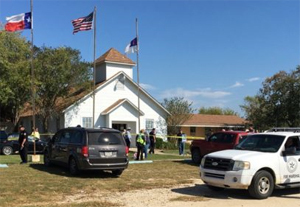 Now 26 are dead and 24 injured in Sutherland Springs. Kelley’s in-laws attend the church, but were not there at the time. Interrupting the slaughter of innocents, an armed neighbor engaged Kelley who then ran. Neighbors pursued Kelley’s vehicle until it crashed. Police found Kelley dead – the killing shot apparently by his own hand. Kelley was convicted by an Air Force general court-martial on two charges of domestic assault against his wife and step-son, which legally would have barred him from purchasing firearms. He spent 12 months in prison at Naval Consolidated Brig Miramar in California, after which he was reduced to the lowest rank and given a “Bad Conduct Discharge” in 2014. The Air Force will conduct a review of it’s criminal record policies. Kelley is reported to be a creepy, weird outcast who preached Atheism online. While demonic Democrats demagogue for gun control, many Christians thank God there was a neighbor who owned a gun and engaged the shooter to stop the slaughter. 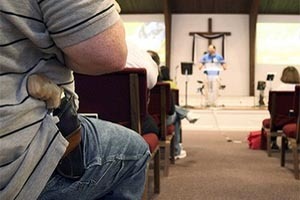 The answer to random acts of violence, increasing numbers of people suggest, is more open and concealed carry. Former classmates of the shooter said he was a proselytizing Atheist and antagonistic outcast who declared Christians were stupid, the Daily Mail reported. Apparently, Kelley’s Atheist morality includes violence and murder – domestic and public. Victim ages range from 18 months to 70+ years. Facebook user Christopher Leo Longoria responded, saying, “I removed him off FB for those same reasons! He was being super nagtive (sic) all the timd (sic),” the news outlet reported. This entry was posted in National on November 6, 2017 by admin.